If You Can Dream It… You Can Do It… But Can You Help Others Do It? If you can dream it, you can do it. If you can believe it, you can make it happen. But none of us can do it alone. 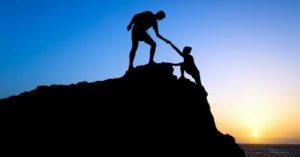 Every single time we face a problem, be it in our own lives, our business decisions, or with our books, we find ourselves in the position of needing to ask for the help of others. That’s what this article is about—it’s about the very real prospect of having to ask for help. Part of my daily job is to hear the problems of others and help fix them, whether it is a problem with your publisher, a problem with your book, a problem with your editor, or a problem with your website. Every single day, these queries and issues come to me, and I find myself in the position of helping people solve their very real problems. This is something I enjoy and will continue to enjoy—because the message is that if you can dream it, you can do it. If you can believe in it—you can make it happen. But to truly make anything a success, we need help, and without that very crucial help, we are going to have a much tougher journey, a much harder route to success. 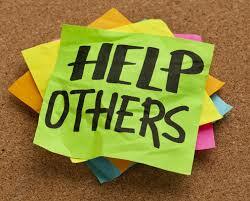 So I want you to ask yourself—are you in need of help, or are you in a position where you can help others? If you are in a position to help others, why don’t you look around and see if there is anyone struggling with their book in your locality. Is there someone you can help realize their dream? Is there anyone struggling with the very real prospect of failure? Does someone need you? I am asking you to reach out and help that person—and help their dream become a reality. If you are someone struggling with your book, or struggling with the promotion of your book, I’d like to ask you to get in touch with me. I would be happy to help and point you in the right direction. Asking for help doesn’t necessarily mean you need long term help, it may just be a simple question of finding an editor you can trust, or learning how to understand your KDP dashboard. These are daunting questions to some but simple once the answer is made clear. The purpose of this article is to try and encourage us all to come out of the shadows and help each other. There is no reason why we can’t all work together to help everyone realize their dream, the dream of being published—the dream of holding your book in your hands and saying, “I did this.” A dream many people have held since they were old enough to read. So the challenge is on the table. Let’s all look around and see who needs our help. Once we have helped those in our immediate environment, we must encourage those authors to help all the authors they can in their environment. That way we will encourage all to succeed. As I said, if you are struggling and need help, you can contract me day or night via Nick@nickwale.org. I’m happy to help you as best I can. But keep in mind: if you can dream it, you can do it—if you can believe in it—you can make it happen. Just don’t be afraid to reach out and ask for help.